Patricia Ann Daugherty, 78, of Elizabeth Twp, formerly of North Huntingdon Twp. passed away April 18, 2019 in the Riverside Care Center. She was born June 12, 1940 in McKeesport. Dessa Bunovich,92 passed away after a long illness on April 12, 2019. She was born March 14,1927 the daughter of the late Robert and Mildred Ivkovich. She was the wife of the late George Bunovich. Besides her parents and husband she was predeceased by her son Michael Bunovich. She was retired from the state unemployment office. She was a member of St.Sava Serbian Orthodox Church in McKeesport. Dessa is survived by her daughter Yvonne Yuhas (Daniel) and daughter in law Bernie Bunovich. She is also survived by four grandchildren and ten great grandchildren who were the love her life. Friends may call Tuesday April 16, 2019 from 4:00 to 8:00 pm in the William H. Craig Funeral Home,Inc. 3000 Versailles Ave. McKeesport, Pa.15132 A Blessing will be held Wednesday at 10:30 in the funeral home followed by a funeral service at 11:00am in St. Sava Serbian Orthodox Church. Burial will follow in McKeesport-Versailles Cemetery. Elsie Bahus, 96, of McKeesport, passed away on March 23, 2019 in Kane Hospital in Scott Township. She was born Feburary 20, 1923 in Webster, PA.
Rosalyn A. Labella 89 of McKeesport passed away March 10,2019 in Kane McKeesport. She was born August 18,1929 in McKeesport the daughter of the late Guisseppi and Domenica Labella. She was a former member of Corpus Christi Parish. She is survived by two nephews and many friends. Evelyn M. Altmeyer, 92, formerly of McKeesport passed away February 22, 2019 in Meadow Crest, Bethel Park. Paul E. Chapman, age 90, of McKeesport passed away February 6, 2019 in Mt. Vernon of Elizabeth. Marion A. Goetz, 92 of McKeesport passed away January 21, 2019 at Sr. Care Plaza in McKeesport. Mary Lou Leck, 90 of McKeesport, PA. passed away January 19, 2019 in Riverside Care Center. 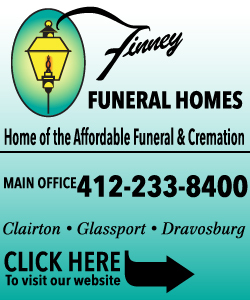 Leica J. Humphreys, 47 of McKeesport, PA passed away January 9, 2019 at home. She was born July 3, 1971 in McKeesport. Dolores M. Crossen, 98 of Port Vue, passed away January 5, 2019 at home with her family by her side. Carol Bury, 78 of North Huntingdon passed away December 3, 2018 in Forbes Hospital Monroeviille, Pa.She was born August 7, 1940 in McKeesport the daughter of the late Francis and Bertha (Skiba) Semenko. Carol was the wife of the late John G. Bury. She is survived by daughters Dorene Ancosky and Denise Halter (Robert) and a son John G. Bury (Shelly). She is also survived by brother Edward "Sonny" Semenko (Cheryl),and a sister Patricia Laney, and 7 grandchildren. Friends may call thursday from 4:00 pm to 8:00pm in the William H. Craig Funeral Home 3000 Versailles Ave. McKeesport, Pa.15132. Funeral Mass will be friday at 11:00am in Saint Elizabeth Ann Seton Parish North Huntingdon Pa. Burial will follow in Calvary Cemetery in Port Vue, Pa.
Carol L. Hettler,57 passed away December 3, 2018 at her home in Trafford. She was born in McKeesport on April 18,1961 the daughter of the late James and Joyce Robertson. Carol was an avid NASCAR fan,and country music fan she also liked reading books. She is survived a daughter Hannah Brown and a son Brian Hettler. She was predeceased by a son James Robertson. She is also survived by a brother Daniel (lynn) Robertson. 6 grandchildren and 1 great grandchild. Friends may call Thursday from 12 Noon to 2:00 pm in William H. Craig Funeral Home,Inc. 3000 Versailles Ave. McKeespoert,Pa. 15132. A service will be held at 2:00pm in the funeral home. On Monday November 26, 2018 Sally Ann Nolder passed away at the age of 79 after a long illness. Sally was an avid volunteer. She spent years volunteering at McKeesport Hospital as well as the Children's Institute, Children's Home and Lemieux Family Center. Sally loved gardening,traveling and spending time with family and friends. She will forever be remembered by her husband Howard and her children Scott, Sue (Jim) and Doug (Philip) and grandchildren Justin (Marcia), Ryan (Meghan) and Josh (Lauren), and great grandaughter Haley.Sally will also be remembered by her sisters, Yuvone and Jennifer (Joe) and many nieces, nephews, her extended family, and dear friends. According to her wishes all arrangement were private under the care of the William H. Craig Funeral Home, Inc. McKeesport, Pa.
P. Michael “Mike” Horrell, Age 57, of Munhall, passed away on November 26, 2018. Mary Irene Hreha, 91 of McKeesport passed away November 11, 2018 in Riverside Care Center, McKeesport,Pa. She was born August 15, 1927 in McKeesport the daughter of the late Michael and Mary (Raydzinger) Hreha. Mary was retired from G.C. Murphy warehouse and formely worked at Dorothy's Candies in McKeesport. Mary is survived by nieces and a nephew and many good friends. According to her wishes there is no visitation. A graveside Blessing service will be held at 12 Noon Wednesday November 14,2018 in St. Mary's German Cemetery in McKeesport.Please meet at the cemetery. 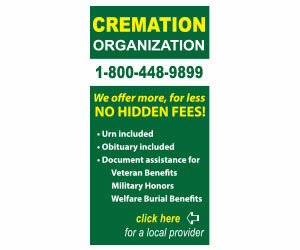 Funeral arrangments are under the care of the William H.Craig Funeral Home,Inc. McKeesport,Pa.